The current proposal calls for Belize to decriminalize the possession of up to 10 grams of marijuana, which would be subject to fines, mandatory drug education and no imprisonment. Currently, the possession of under 60 grams of marijuana is a criminal offence and punishable by a fine of up to $50,000 and/or up to three years imprisonment. 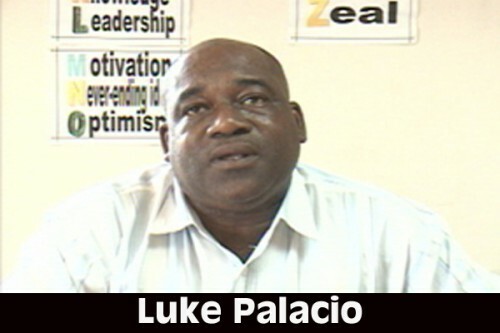 The BNTU, whose president is Luke Palacio, said that it held a special meeting of its Council of Management on Saturday, August 25, at which the decriminalization question did come up. The BNTU highlighted the need for much more education, study and research of its use and effects. “Small, developing countries with poor or limited resources and trained personnel to monitor, police or control its supply, sale and use would be a major challenge and problem,” its declaration added. “These concerns and our country’s and government’s inabilities to control and monitor its use and supply will lead to more health and behavioral problems for our teachers, parents, law-enforcement officers and society as a whole, resulting in more criminal and socio-economic problems for all,” it further stated. The union also touched on the possibility of marijuana use leading to cravings for more damaging drugs. It stated that marijuana, to a large degree, leads to the craving and use of more powerful and dangerous drugs, among them crack/cocaine and LSD. Former police minister Doug Singh, who leads the committee tasked with reviewing recommendations for the decriminalization of up to 10 grams of marijuana, stressed in response to the BNTU’s statement that the proposal is to decriminalize, not legalize the use of marijuana. Singh added that the questions of what forms of non-criminal penalties, how to treat offenders with multiple violations, how to protect minors, and how to promote drug education and rehabilitation as part of the penalty is on the table as part and parcel of this exercise. The Committee has received input from the Belize Bar Association, which, Singh said, supports the idea in principle and which had noted in the debate on preventative detention that government needs to look at alternative law enforcement mechanisms. In responding to the proposal, the Belize Chamber of Commerce and Industry (BCCI) has suggested that the limit for decriminalization should be dropped from 10 grams to 5 grams. Meanwhile, the Council of Churches, led by Canon Leroy Flowers, has reserved its position on the matter. Flowers told Amandala today that while it is a good idea for government to discuss the issue, the church organization would prefer to see a draft bill with the proposals before venturing an opinion, so they can know exactly how far the government wants to go with the decriminalization proposals. Singh told us that the idea is to review the public input that has been received to date—not to prejudge where this process will go. He said that the committee, which also comprises Donelle Hawke and Rhea Rogers of the Ministry of National Security, C.B. Hyde, Susan Fuller, YaYa Marin-Coleman, Jeremy Spooner and Katie Valk, is set to meet on Friday, September 7, to review the public comments received to date. Responding to the BNTU statement, he said that there are a number of things which they say that have to be discussed, including the issue of marijuana being a potential gateway drug for more serious and damaging drugs. Singh said that it could be another 60 to 90 days before the matter is tabled at Cabinet. He said they can’t rush into making a recommendation and the position can’t be based on opinion.